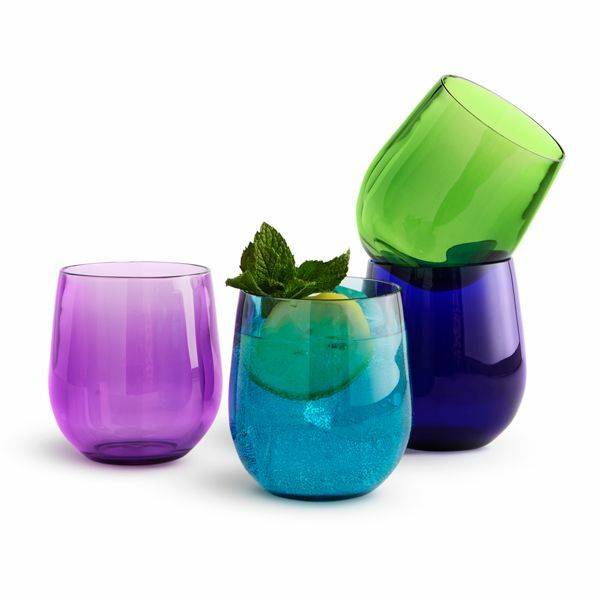 Shatterproof 12-ounce tumblers by Caspari add rich color, durability and style to indoor-outdoor entertaining. BPA-free polycarbonate acrylic is dishwasher safe. Gift boxed. 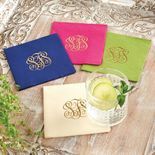 4"h. Sold as a set of four glasses, one of each color.